We are used to seeing newspapers with compelling news stories, and photographs, on the front covers. However, this is a fairly recent change for Auckland's daily newspapers. 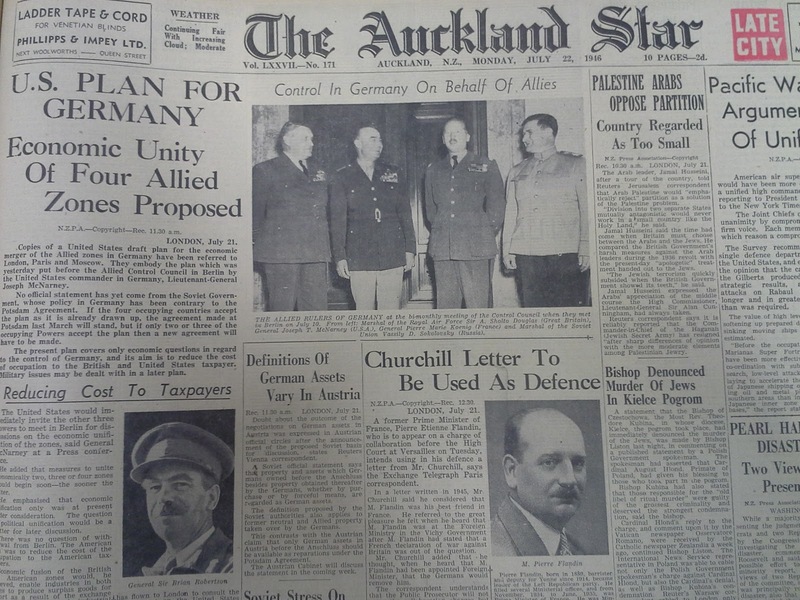 The now-ceased 'Auckland Star' newspaper only started featuring actual news, rather than public notices and the like, on the front page from 22 July 1946. Ref: excerpt from the Auckland Star, Volume LXXVII, No. 171, 22 July 1946, page 1. 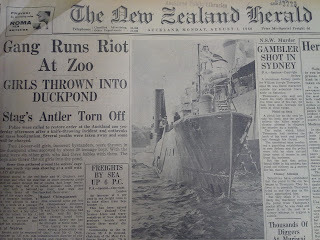 The 'New Zealand Herald' waited until 1 August 1960. Ref: excerpt from the New Zealand Herald, 1 August 1960, page 1. 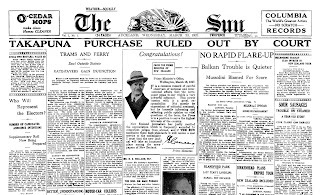 However, the first Auckland daily newspaper to feature actual news on the front page was the short-lived 'Sun', from 23 March 1927. Ref: excerpt from The Sun, Volume 1, Number 1, 23 March 1927, page 1. 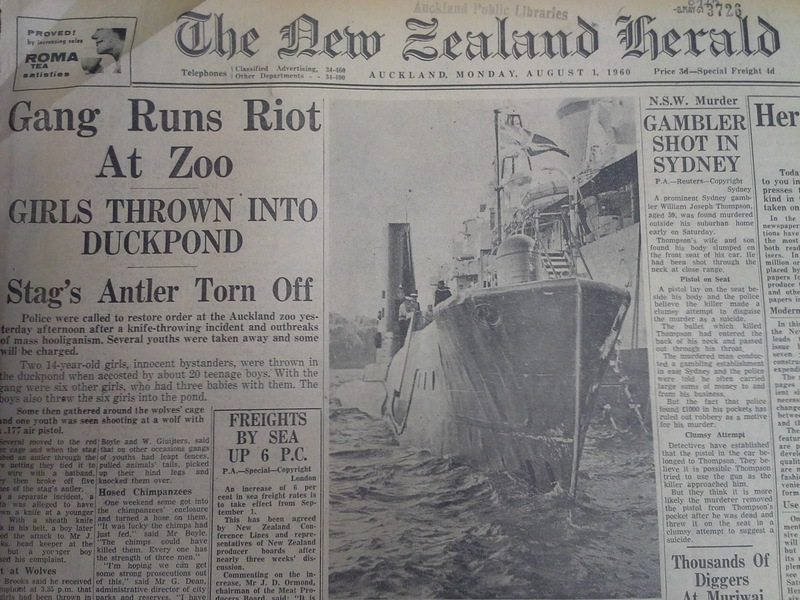 Often people want to scan or print off the front page from the ‘New Zealand Herald’ featuring the date on which they were born, or for another significant day in their life. However, unless they are aged under 55 they are likely to be disappointed with the sober listings of public notices. 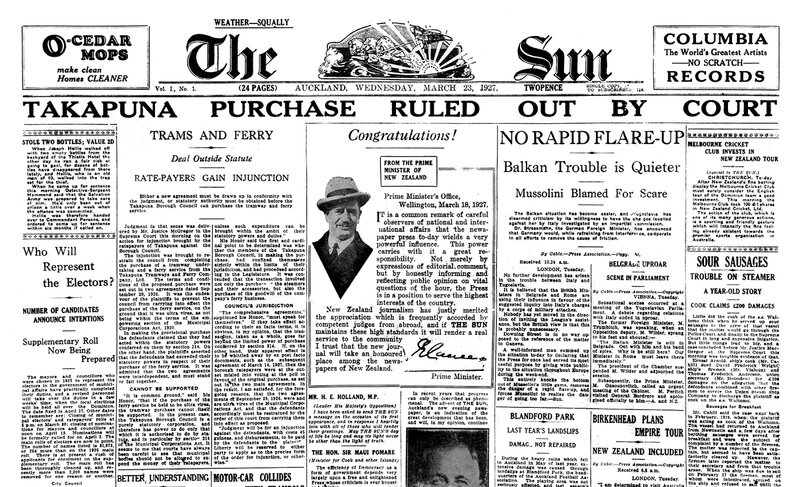 Overseas newspapers made the switch much earlier. Ref: excerpt from the New Zealand Herald, Volume 82, Issue 25394, 26 December 1945, page.1. Ref: excerpt from the Auckland Star, Volume LXXVI, Issue 305, 26 December 1945, page 1. These are the front pages of the 'Auckland Star' and the 'New Zealand Herald' from Boxing Day, 26 December 1945.